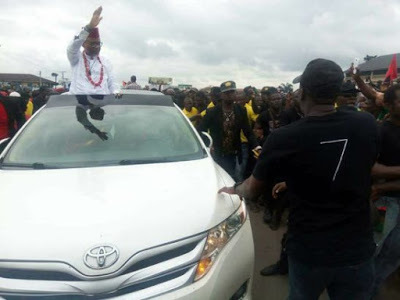 The leader of the Indigenous People of Biafra, Nnamdi Kanu keep pulling more and more crowd everyday. 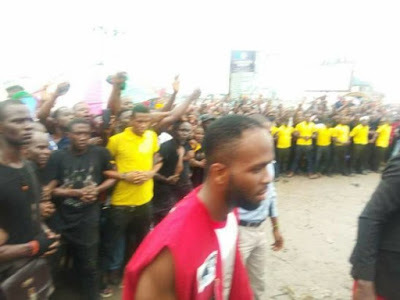 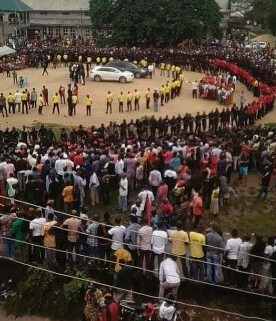 This time he went to Port Harcourt today where he was received by a huge crowd chanting and calling his name. 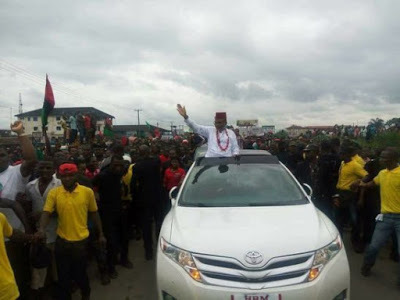 Speaking to them, Nnamdi insisted there's no going back on Biafra as it was the destiny of the Igbos.